If your family is spending Christmas in your camper this year, then you’ll need two important things: some decorations to make your RV festive, and something for the kids to do when they are bored. The best decorations are the ones you have a hand in making, after all. 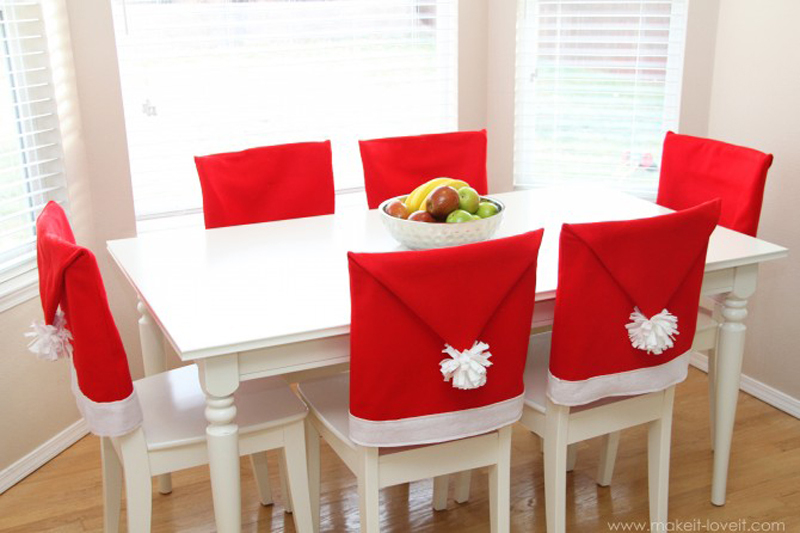 These will make your dining room sing with holiday spirit! They are simple to make and relatively cheap. 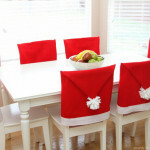 It is also a great first project for a young person learning to sew. This tutorial uses a sewing machine, but honestly, this could easily done by hand. Use some stencils to help the kids make some really creative ones out of paper, or make them with popsicle sticks and paint them with glittery white. 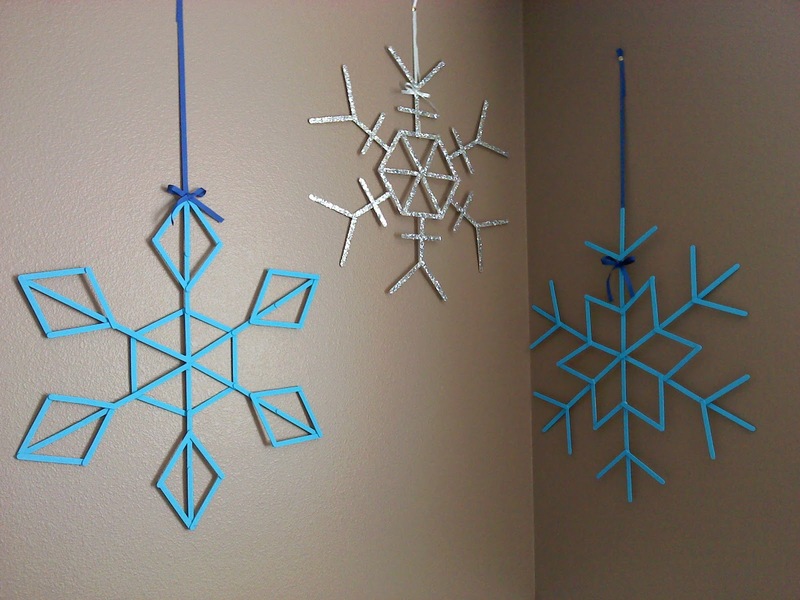 Snowflakes are cheap, easy and fun to make and they can be stuck on your fridge, cupboard doors, or on the walls for a festive touch. Let’s be honest – the tree is the most important decoration. But when you are in a small space, it isn’t quite so practical. Yes, you can do a small potted pine that you decorate, and plant outside after the holidays. 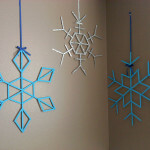 But you can also make a few small craft trees that bring enjoyment twice – as a craft and as a decoration. 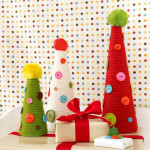 Just a quick trip to a craft store will get you everything you need to make these adorable trees. staying somewhere cold? 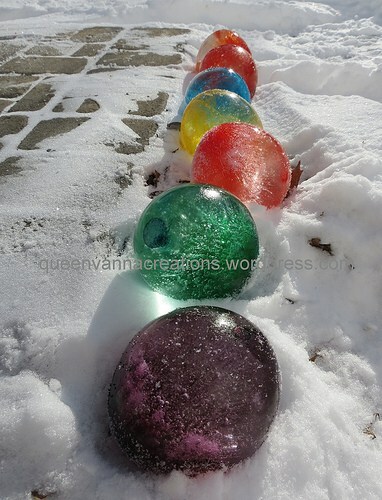 Then these little coloured ice globes will bring a sense of magic to your surroundings. 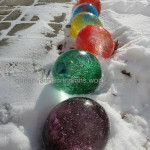 Just add some food colouring-dyed water, water balloons, and a little time in the freezer, and you can add some pop to your snowy walkway. Depending on where you are parking your RV, you may have access to some of the best Christmas craft materials around. Pine branches and cones make beautiful decorations, plus they bring some of that fresh pine smell into your living space to replace your tree. 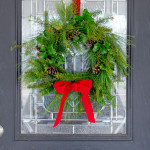 Use a wire coat hanger and some ribbon, and suddenly you have a beautiful wreath for your door. It’s also a great way to get the kids outside, gathering supplies. Christmas crafts are a great way to spend time together as a family and get in the holiday spirit. Plus, your RV will look great!